Ling Nan Hospitality and Compass Edge have co-founded a new alliance. 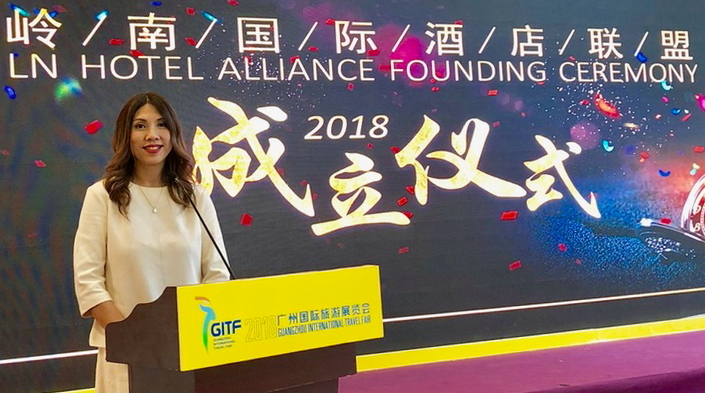 The two companies, together with partners China Southern Airlines and GZL Travel Services, used the Guangzhou International Travel Fair (GITF) on 1 March 2018 to launch the LN Global Hotel Alliance. The alliance consists of 4 pillars. Compass Edge represents hotels outside of mainland China, Ling Nan Hospitality represents a large number of hotels in China - such as The Garden Hotel and the China Hotel in Guangzhou, China Southern Airlines is the air segment of the alliance while GZL represents the travel services product. The number of loyalty members under the four brands amounts to more than 46 million Chinese travellers. Compass Edge hotels such as Chroma Hospitality, the Crown Regency and The Bellevue Resort in Philippines; The Trans Resort Bali, the SenS Hotel & Spa as well as The Damai in Indonesia; The Emblem Hotel Prague and the Presidential Serviced Apartments London in Europe; as well as the trendy Hotel Icon in vibrant Hong Kong are all founding members of the LN Global Hotel Alliance. “Loyalty is the name of the game for the future. However, it is extremely difficult for a standalone property to be in the loyalty game, especially in China. Chinese people buy from those they know and trust. Now, overseas independent hotels can get that trust endorsement from the three most reputable China travel brands via LN Global Hotel Alliance, and LN Global Hotel Alliance only,” Anita added. Moving forward, LN Global Hotel Alliance will put together lifestyle experience travel products for high net worth Chinese travellers to experience the world. See latest HD Video Interviews, Podcasts and other news regarding: Compass Edge.